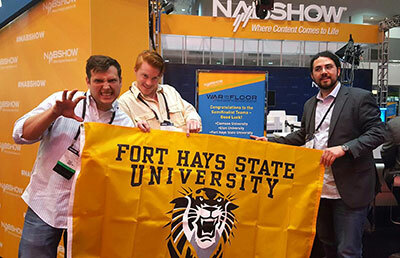 HAYS, Kan. -- Ken Moreno and Tyler Parks, graduate students at Fort Hays State University, found out about the Broadcast Educators Association War on the Floor video and social media competition two weeks before the final application deadline. "Ron and Melissa, they really brought this to our attention," said Moreno. "It was two weeks before the application deadline." That is Ron Rohlf, assistant professor of informatics, and Dr. Melissa Hunsicker Walburn, chair of the department. Moreno and Parks are seeking Master of Liberal Studies degrees with an emphasis on digital cinema production. Moreno, Charlotte, N.C., had just earned his B.S.  in information networking and telecommunication, with an emphasis in media studies, from FHSU in the previous spring, 2015, and he had started right to work on his MLS. He and Parks, Elkhart, were both busy with their studies and, said Moreno, "The last thing we wanted was another project." But, he said, "Tyler and I looked at it, and we said, 'We've got to do this.' "
Then they had to choose a third member for the team, and, he said, "Both of us thought of Ricky right off the bat." Richard Kerr is a Wichita senior majoring in informatics with a concentration in media studies. "He's so involved with Tiger Media Network and producing the material," said Moreno. Tiger Media Network is Fort Hays State's student-run multimedia news, information and entertainment operation. "He's involved in sports production, he's involved in music projects and radio broadcasts," said Moreno. "So he's in a position like me and Tyler, where he's involved in this informatics program, and we're so versatile, we're all involved in all aspects of digital production." And that, though they didn't know it until August, turned out to be the winning team in War on the Floor 2016, beating out Elon University, Elon, N.C., and Clemson University, Clemson, S.C., the other two teams selected by BEA in a national screening. But by the time Kerr joined the team, only a week was left until the deadline, and the application was a video, a short narrative piece "about who we are and why do we want to go to this War on the Floor competition," said Moreno. "It was pretty hectic," said Kerr. "We were scrambling around, hitting the thrift store to pick up props and stuff, and trying to get it storyboarded." The video they produced in that week is scenes of Kansans at work and scenes of the individual team members with the tools of digital production over a guitar background and a narration extolling the Kansas work ethic. Highlights include Parks as the male half of Grant Woods' "American Gothic," Kerr framed in a '50s style black and white television as a straight arrow news anchor, and a bearded Moreno dressed as Dorothy, complete with pigtails and red slippers. Their video entry was a hit, and FHSU became the first team selected. It was Parks' favorite piece of the whole project. "That was probably the best piece we did," he said. "It was probably one of the better things I've done, personally, in a long time, and it blew the judges away immediately." That was in February. The Nation Association of Broadcasters conference, the scene of the competition, would be in April. Before the second team was announced, immediately after finding out they had been chosen, Moreno, Parks and Kerr went to work. The competition is this: Glyph Production Technologies, Cortland, N.Y., sponsors the contest, which has three components: a 30-second ad for Glyph; a social media competition, evaluated day by day and for the week (the most likes, shares and retweets wins the day and the week); and the 15- to 20-minute long-form video produced from audio and video taken at the April conference. The social media campaign and the long video are about the conference itself. By the time they went to Las Vegas, they had a vision for where they wanted to go with the long-form video. That was a particular focus because all the video and audio had to be collected and the interviews conducted during the week of the conference. They had created the social media accounts they would use, and they had divided up the labor: Kerr got Snapchat and Twitter; Parks got Facebook; and Moreno was responsible for Instagram. "Me personally, I'm a very organized kind of person," said Moreno. "I didn't want to be scrambling around in Las Vegas." That is not just personal, he said. It is part of the mindset of Fort Hays State's Department of Informatics. For himself, Moreno has distilled it down to the formulation of "80 percent planning and 20 percent action." "In the Informatics Department, it's really about getting your plan together so that your production is a lot smoother," he said. In the end, they did not win the short commercial. "But we did get the social media," said Moreno. "We knocked that one out of the park." And then they got the final piece, the big one - the long-form video. Kerr attributed part of their success to a "pretty equal division of labor." "We're all pretty multi-faceted," he said. "I think that's what helped make such a good video." Another key for Kerr is that "other schools are pretty much traditional broadcast type of TV news -- clean-cut news reporter talking in a robot voice. We were kind of the crazy guys from Kansas. Definitely on the creative side, I would say." "We have a lot of talented individuals who aren't in a traditional broadcast media program," said Kerr. "We do a lot of things outside of the box. If you look to the initial video we made to get into the contest and to what we created in Vegas and afterward, it is very creative, and that is what sets us apart from other programs." Parks emphasized the support the team received. "It was an honor to win, and it wouldn't have been possible without the support staff here at Fort Hays State. With the Department of Informatics, especially Melissa, Ron and Michelle Weigel -- she booked all the rooms and flights -- so it was easy for us." "It was a great experience, and it helps put Fort Hays State on the map. Clemson is much bigger than us, and Elon had by far the best equipment I've ever seen on a college team." He also praised the larger university and Hays community. "Because the community was behind us, we were able to beat universities that were bigger and have a lot more money than we do." "I think that's what makes Fort Hays State great," he said. "Everybody's in your corner, and everybody's got your back." Las Vegas was a runaway experience. "It was nonstop for four or five days," said Parks. "We walked 15 or 20 miles a day. We saw technology that isn't even out yet, technology that won't be out for two or three years yet." Moreno, who wore a pedometer, confirmed the 15- to 20-mile figure. He has the data to prove it. Next year, they will go to Las Vegas again, this time for free - a $1,499 package. "This time we will get to go experience it without having to compete," said Moreno. "We can network, enjoy learning about some of the new technology coming out, and we won't have to rush around. We only have one main focus, and that's to learn something there."